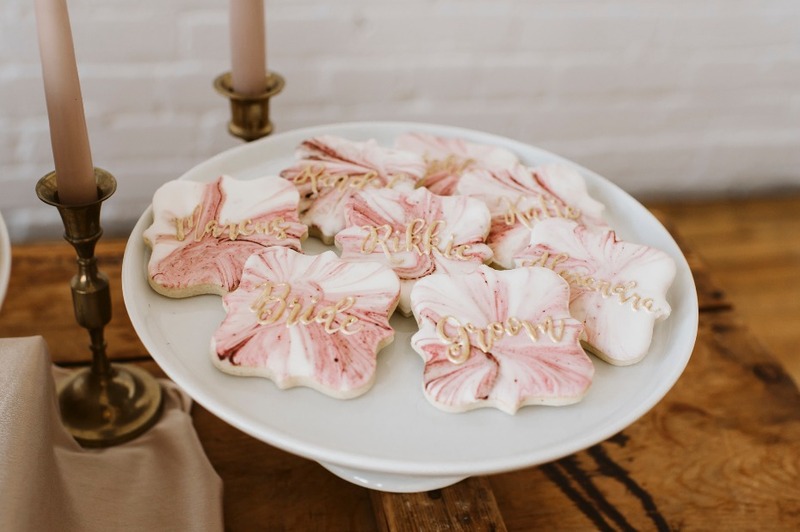 Are you ready for a little wedding inspiration? 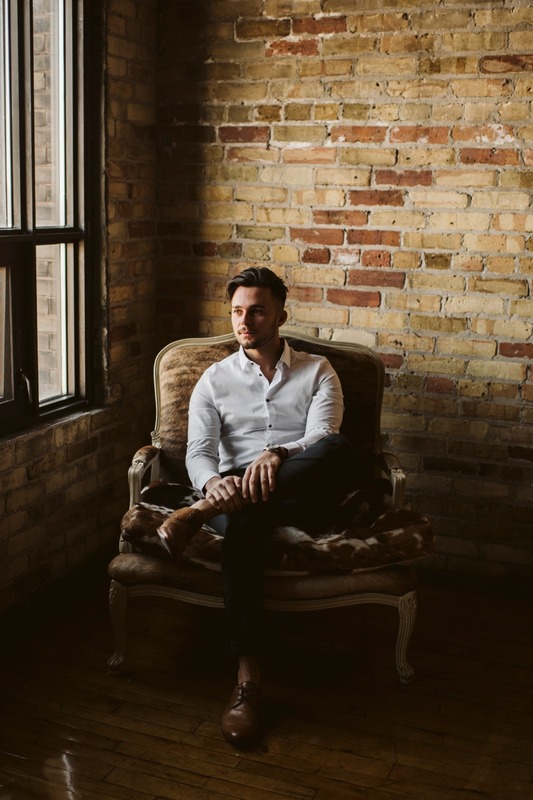 Just (About) Married and a crew of talented vendors set up a romantic mock wedding experience at the Burroughes Building in Toronto. 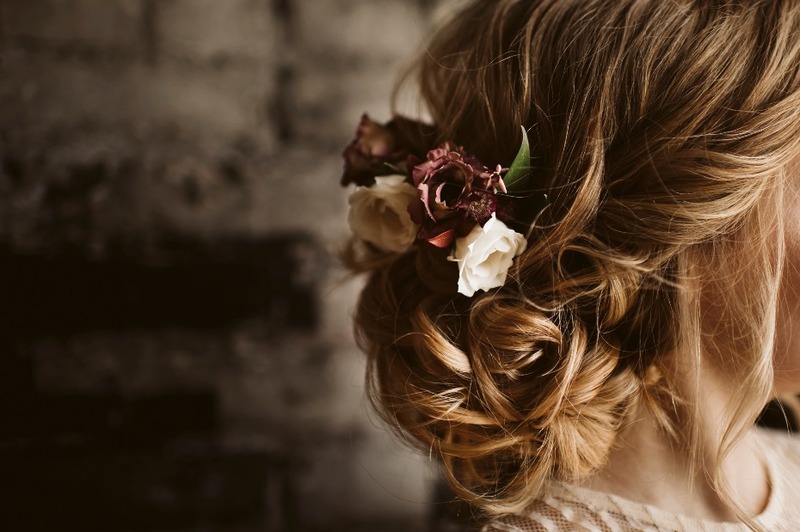 Mock wedding, you say? What’s that? Well, you’ll have to keep reading below to find out. 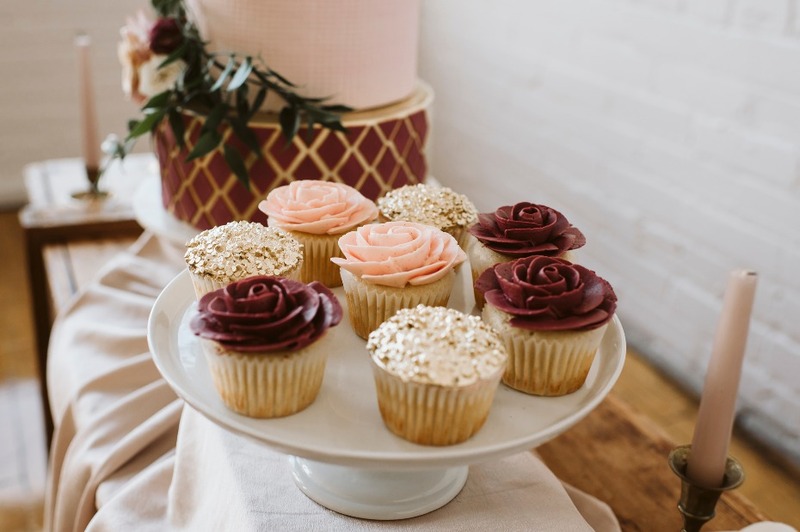 But trust us, it’s a first-hand vendor experience you’ll definitely want to attend if you’re planning a wedding in the Toronto area! 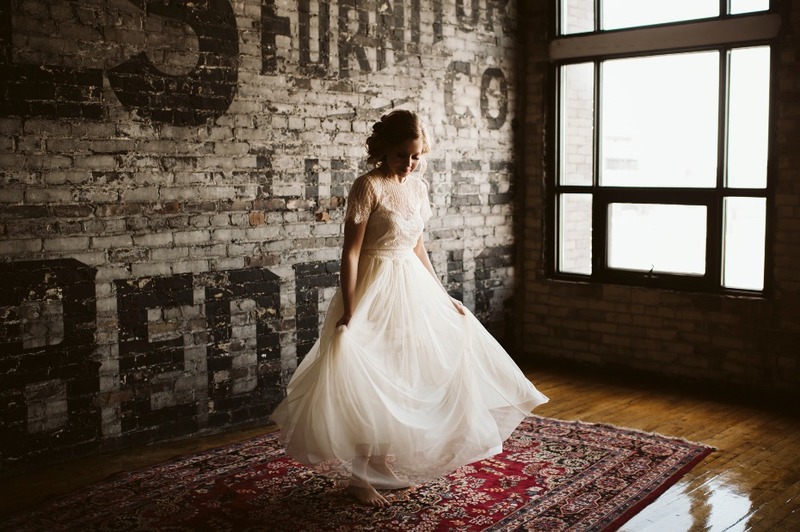 The urban-inspired decor throughout this shoot comes to life against the historic brick walls. 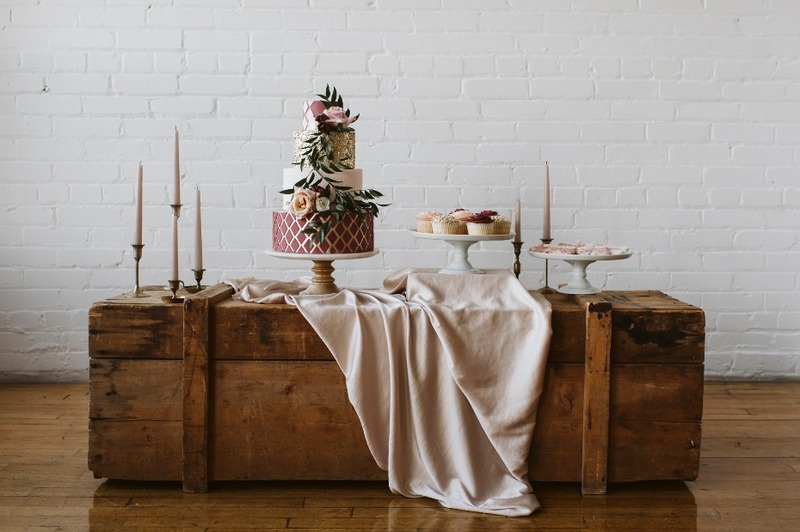 A candlelit table, beautiful florals, and the most stunning cake table ever are just a few of the highlights we love. 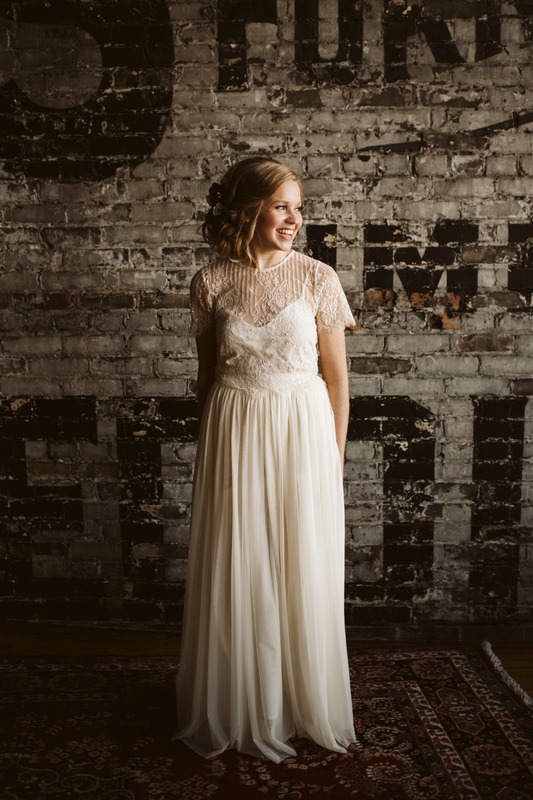 Read more about this mock wedding below, plus enjoy the full gallery after from Fox Photography. 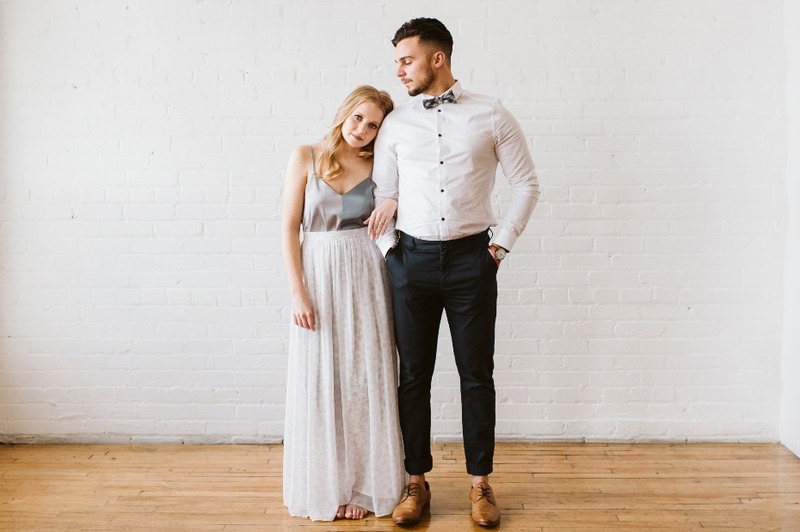 From Just (About) Married: Just (About) Married is an exclusive mock wedding experience in Toronto that's providing an unparalleled opportunity for couples to experience the work of handpicked vendors in person while planning for their own big day. 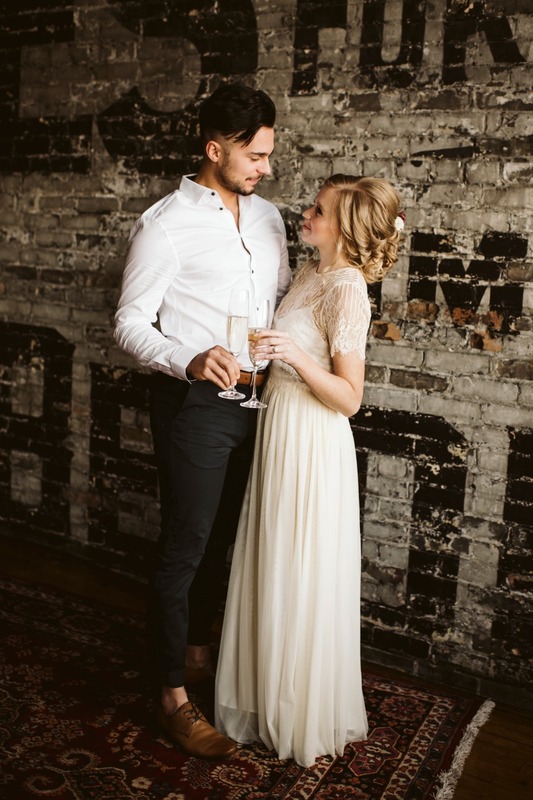 We will transform the space just like a real wedding, and guests will enjoy pre-ceremony cocktails, an intimate vow exchange, a champagne toast and more wedding festivities - all while getting inspired for their wedding day. 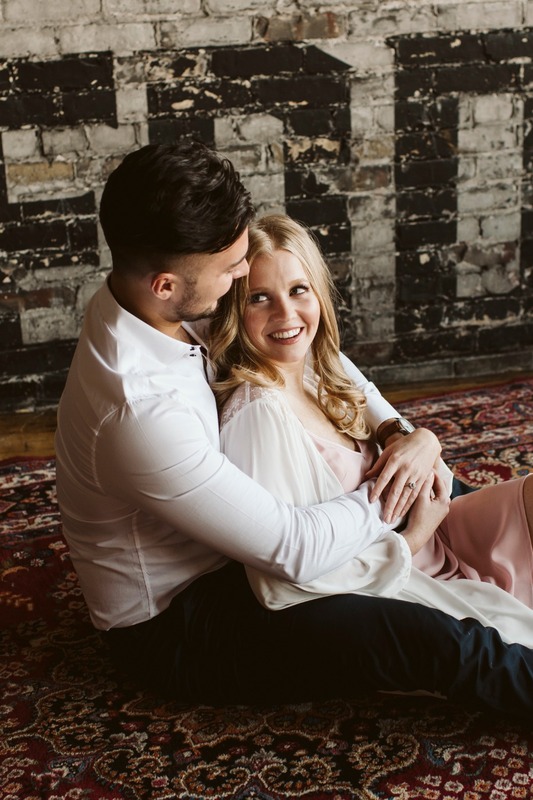 To celebrate the upcoming show, we wanted to introduce our couple early on with a proposal and engagement shoot that reflected the dreamy romance we’re delivering at the show. 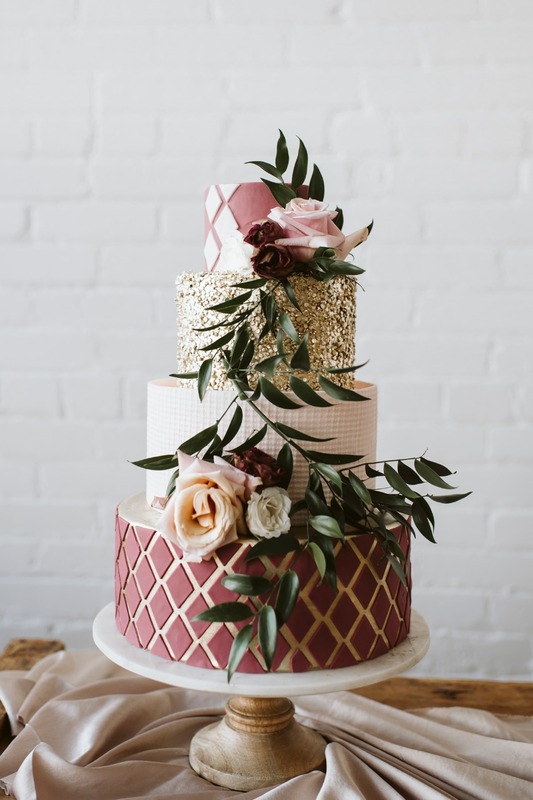 We partnered with some of our incredible wedding day vendors to create the ultimate engagement setting that reflects the true spirit of a Toronto couple - that blend of tradition and modernity, streamlined urban landscapes rooted in historic landmark brick, and through it all a deep, passionate love affair. 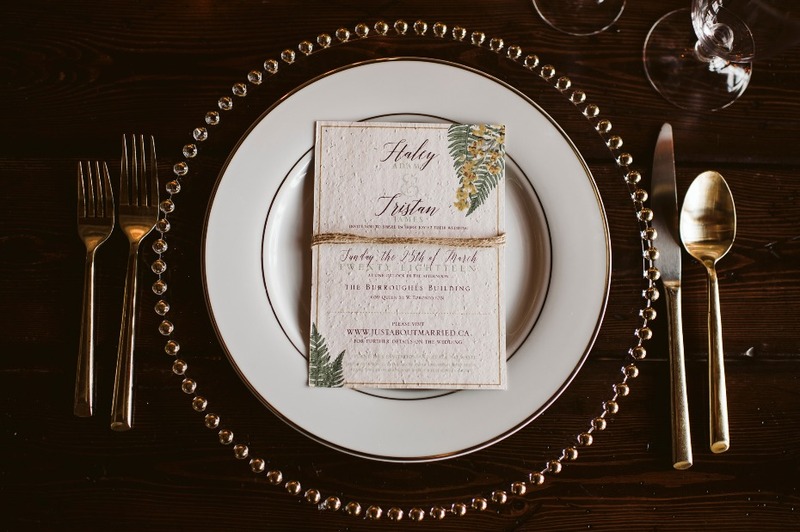 We layered pieces from all our vendors to create a collaborative tablescape for two that hit all the right notes of urban sophistication with a dash of that old Toronto charm. 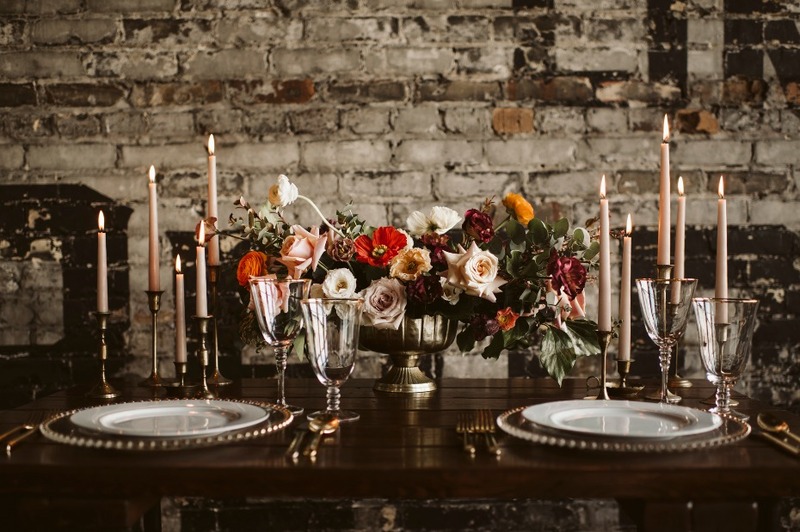 The arrangements from Rikki Marcone Floral Design were bold centerpieces perfectly accented by antique brass candlesticks and delicate glass chargers. 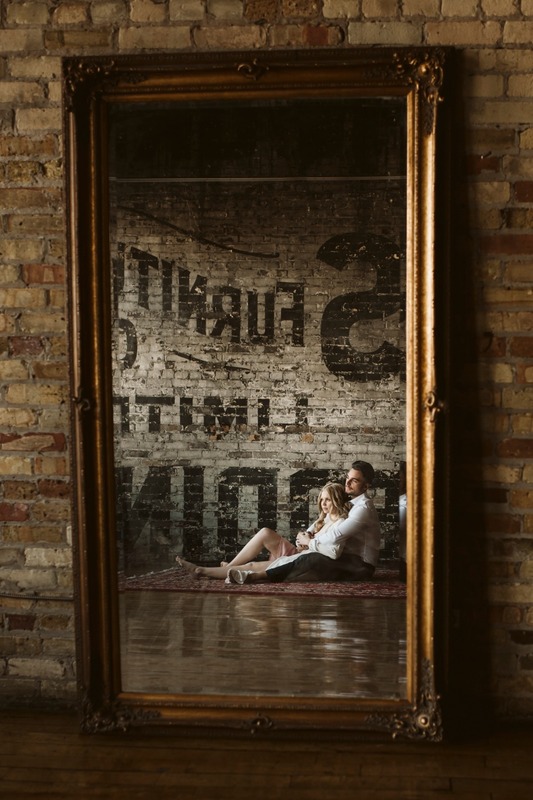 The candlelight flickered against the original brick backdrop and danced through the reflection of a vintage mirror. 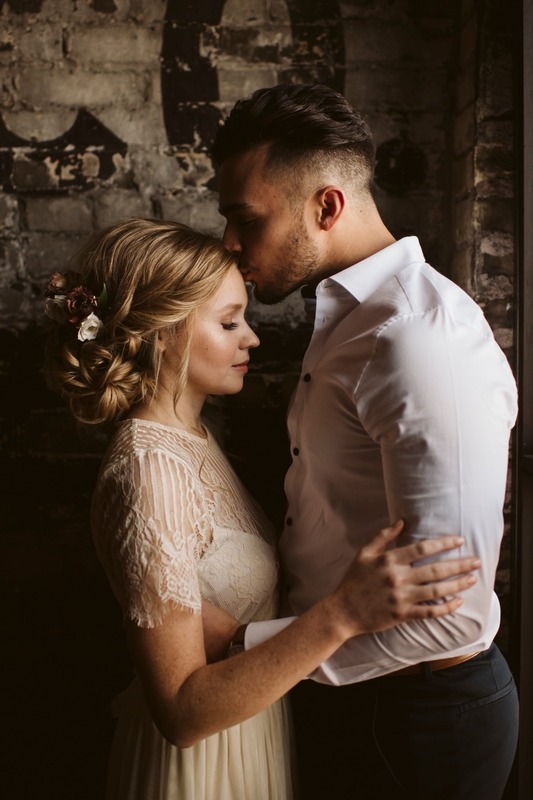 The mixture of simplicity and luxury throughout the shoot allowed us to paint a picture that so perfectly mirrors the one taking place outside those floor to ceiling windows - a love story about modern romance in a city rooted in history, and one we can’t wait to explore at Just (About) Married in March!